The watchdog responsible for monitoring MPs’ pay has said it has found no “material” reason to change the proposal to hand members of parliament a generous 10 percent rise – at a time of pay restraint for civil servants and deep cuts in public services. Despite facing heavy criticism from campaigners and some MPs, the Independent Parliamentary Standards Authority (IPSA) said they could find no reason to stop the planned pay rise from £67,000 to £74,000. They added that unless “new and compelling evidence” emerged before the end of June, the rise would come into force and would be backdated to May 8, the Press Association reports. Prime Minister David Cameron claims he has never backed the proposals, amid mounting pressure to intervene. “Throughout this process, the Prime Minister has been absolutely clear that he doesn't agree with the proposed increase,” a Number 10 spokesperson said. Cameron verbally criticized the previous rise in MPs salaries in 2013, saying it was “simply unacceptable” that they received a higher raise than the rest of the public sector, which was capped at 1 percent. 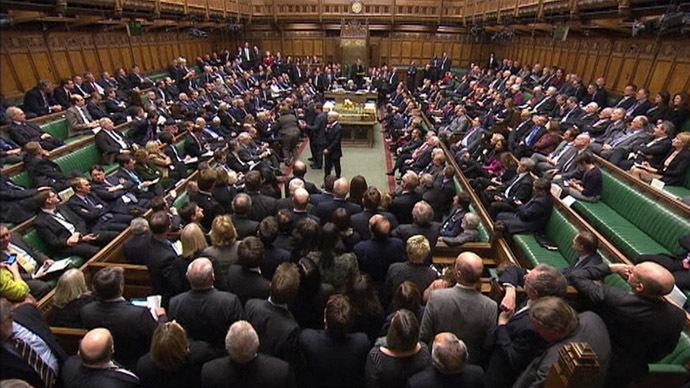 “Subject to any new and compelling evidence arising from this review, we therefore intend to implement the determination as currently drafted, with a one-off adjustment in MPs’ pay to £74,000 and subsequently linking it to changes in average UK earnings for the remainder of this Parliament,” the document states. TaxPayers’ Alliance CEO Jonathan Isaby told the Press Association: “It's clear that IPSA is hopelessly out of touch and not fit for purpose. The national debt is still rising and hard-pressed taxpayers are keeping their belts tight so it's totally inappropriate for these bureaucrats to recommend even higher pay for MPs. When asked whether Cameron would take the pay rise, his spokesperson said the money would “automatically” go to all MPs. “The PM is determined to get the cost of politics down, whether by freezing ministerial pay or through proposals such as boundary reforms,” she added.